In this chapter, the ability of classes to perform actions through the use of functions will be discussed. Besides variable declarations and setting default properties for those variables, virtually all of the code belonging to a class is contained within functions. This makes functions absolutely necessary in order to have classes, and therefore programs, which actually do anything interesting. Once you have a firm grasp on what functions are and how they work, it will become possible to create extremely useful classes which translate into exciting in-game experiences. So, what exactly is a function? A function is a named container for a subset of commands within a class that performs a specific task. By bundling related lines of code up into named units, programs become much more organized and it becomes much easier to execute commonly used code. Instead of having to write out the code each time it needs to be executed, the function can be called by its name and the code associated with that function will be executed. Once the code for that function is finished executing, the program continues on from where the function call occurred. In order to make functions more flexible, functions also have the ability to take in information in the form of parameters and can output a value as well. By allowing the function to communicate with the rest of the program, actors within the game have the ability to give commands and talk to one another. The data from one class can be operated on by the function of another class and the result can be returned to the original class. Without this communicative ability, functions would be far less dynamic and, therefore, much less useful. As you learned in Chapter 4: Variables, special variables called local variables can be declared within functions for use within that function. This allows functions to create data that can be used and manipulated. This data only exists while the function is being executed, though. It is not accessible anywhere else other than inside of the function and it does not persist between executions of the function. When the function begins executing, it reads the local variable declarations and creates these variables. During execution, any modifications can be performed as though these were regular variables. When the function finishes, all its local variables are destroyed. Note: Local variable declarations must occur before all other code within a function. If any code is placed before a local variable declaration, an error will occur when compiling the script. Over the course of the tutorials in this chapter, you will be creating the classes necessary to implement some fairly simple ambient creatures that can be placed in maps to provide a more believable environment for the player. We will be focusing on the creation of a single type of fish, but through the use of object-orientation, adding other types of fish and even other types of creatures will be extremely simple. We will begin by setting up the base AmbientCreature class which will contain generalized functionality. In essence, this class will handle the selection of a location to move to and then set the creature moving toward that location. We are also going to create an AmbientCreatureNode class that will mark the locations from which the creatures can choose a new destination. 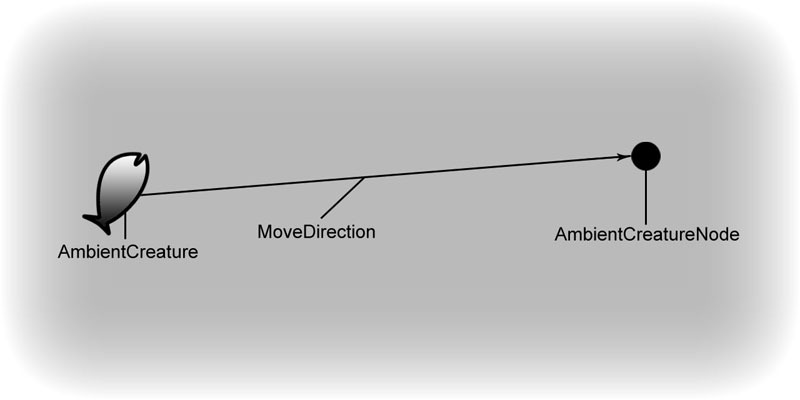 Figure 6.1 – The AmbientCreatureNode is used as a locator for the AmbientCreature’s path. 1. Open ConTEXT and create a new file by choosing New from the File menu or pressing the New File button in the toolbar. Make sure to select the UnrealScript highlighter as well. 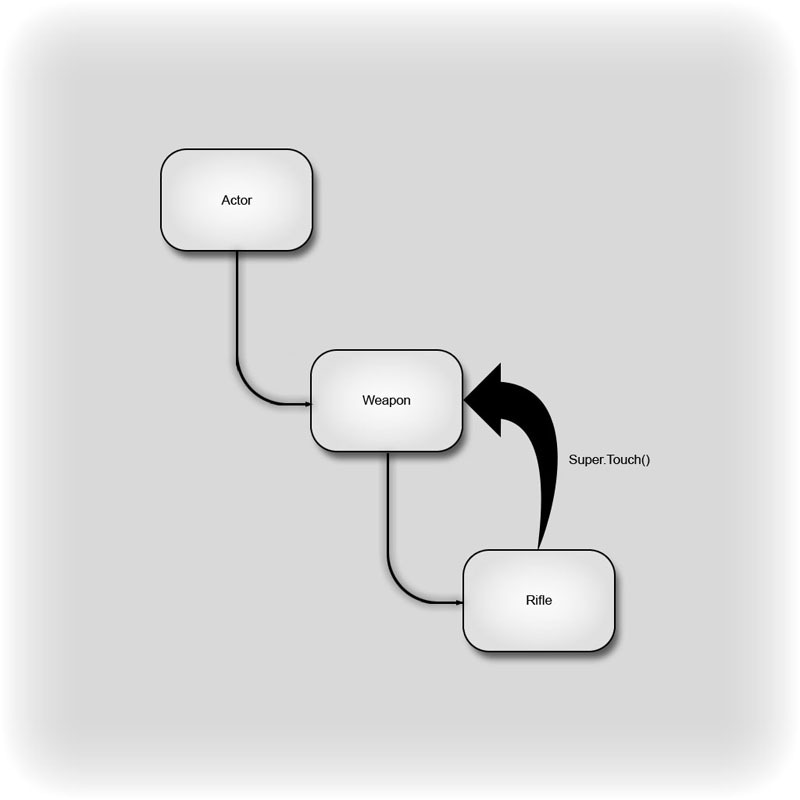 Figure 6.2 – Create a new UnrealScript document. 3. There will be a lot more code added to this class, but for now we are simply going to save the script so we can go ahead and create the AmbientCreatureNode class as it will be needed when declaring the class variables for the AmbientCreature class. Choose Save As from the File menu and navigate to the MasterinUnrealScript/Classes directory created in the previous tutorials. Save the file to this location with the name AmbientCreature.uc to match the name of the class in the declaration. 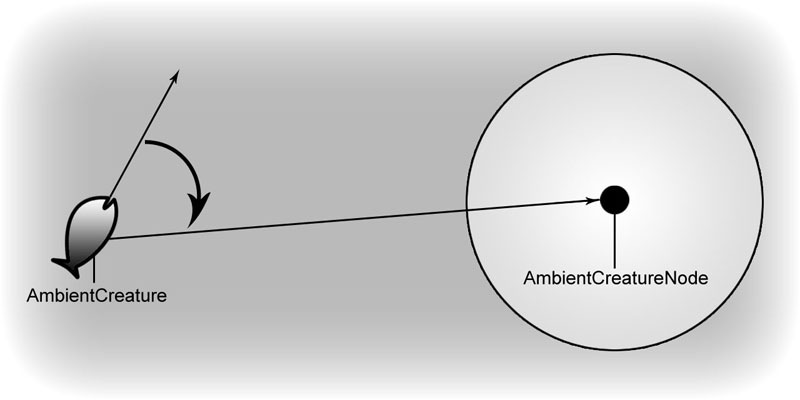 Figure 6.3 – Save the AmbientCreature.uc script. 4. Create another new file in ConTEXT from the File menu or the toolbar and select the UnrealScript highlighter. 5. On the first line of the new file, declare the AmbientCreatureNode class. Unlike the AmbientCreature class, this class will not be extending the Actor class. In order to easily make this class have an icon in UnrealEd, we are going to inherit from the Info class. 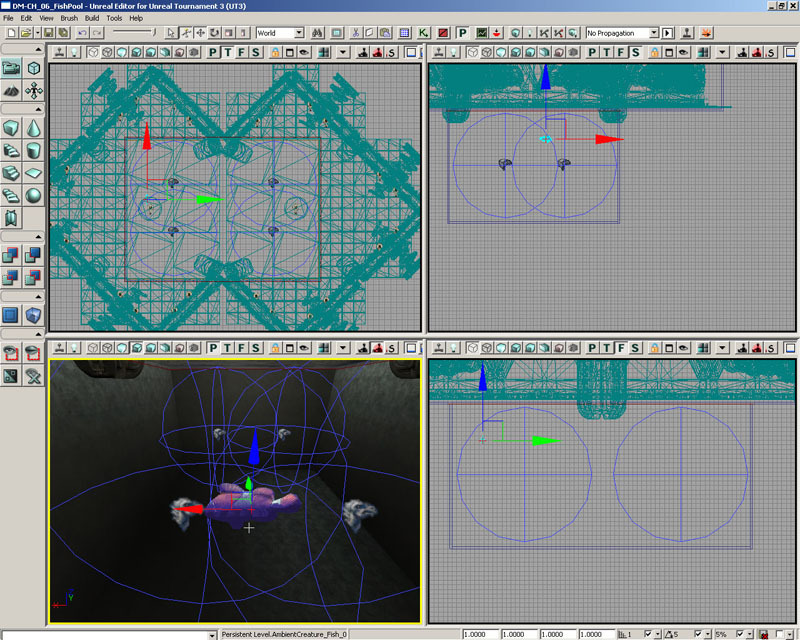 Without an icon, it would be very difficult to quickly see where the nodes were being placed making the level designer’s job very difficult. Add the code below to declare the class. 6. Add one variable declaration for this new class. This variable will be a Float and will be called Radius. This value will allow the designer to specify a radius around this node which will be used to give the creatures a little more variation in their movement. 9. In the defaultproperties block, add the following lines of code to create the DrawSpereComponent and attach it to the node. 10. The last step is to set the Radius property of the node equal to the radius of the DrawSpereComponent at runtime since the designer only has access to the DrawSpereComponent in the editor. We will do this by overriding the PreBeginPlay() function. 11. Choose Save As from the File menu and again navigate to the MasteringUnrealScript/Classes directory. Save the file to this location with the name AmbientCreatureNode.uc to match the name of the class in the declaration. Figure 6.4 – Save the AmbientCreatureNode.uc script. With this little bit of setup completed, we can begin putting together the base creature class in the next tutorial. There are a number of variables that will be common to all creatures that we can go ahead and add in the base AmbientCreature class. In this tutorial, we will be creating all the declarations for the variables. 1. Open ConTEXT and open the AmbientCreature.uc file if it is not already open. 2. Press the Enter key a couple times to move down a few lines from the class declaration. 3. Remember we set up a class in the previous tutorial that will serve as location markers for destinations for our creatures. We need a way to store those in the creature class in order to select one as a destination. We will be using a dynamic array for this purpose as we do not know how many nodes there will be in any given situation. We also want to allow the designer to add the nodes to this property so that any individual creature can be given specific nodes to use as potential destinations. Type the following code to declare the MyNodes variable that will hold the AmbientCreatureNodes associated with this creature. You will notice we declared both variables with a single line of code. Since these variables are associated with each other, we are keeping them together for organizational purposes. 5. Unreal will use the Velocity variable inherited from the Actor class of the creature to determine the direction and speed at which the creatures move. This means we need to have the direction and speed of movement if we are to set this Velocity variable to cause the creatures to move where we want. 7. We now have the variables we need for the base creature class. Save the file to preserve your work. The last piece of setup before we jump into the main functionality of the creature class is the default properties. We need to make sure the creature has the appropriate type of physics, collision settings, and a means of displaying a mesh and being lit properly. To begin with, we will focus on the rendering and lighting setup. 1. Open ConTEXT and the AmbientCreature.uc file if it is not already open. 3. Since these are moving objects, they will need to be lit dynamically. We are going to make use of a DynamicLightEnvironment to keep the cost of lighting the creatures to a minimum. To do this we will need to create a sub-object in the defaultproperties block and add it to the Components array of the creature. As we saw in the previous chapter, the creation of a sub-object in the default properties requires the use of the Begin Object syntax followed by a class and a name for the new sub-object. To terminate the creation of the sub-object we will use the End Object syntax. Press the Enter key to move to the next line down and then press the Tab key to indent this section of code. Enter the code below to create the DynamicLightEnvironment. We simply use the name of the sub-object that was created previously and assign it to the first element of the Components Array. 7. Save the script to preserve your work. Continuing with the default properties of the base creature class, we will now set up the properties for collision and physics. 3. With the CollisionComponent set telling the engine what geometry to use for calculating collisions, we need to tell the engine what types of other geometry the creatures should collide with. We don’t want them to collide or block other actors as these are ambient creatures. We do want the creatures to collide with the world, though. In the case of our fish creatures, this means they will not collide with each other. However, if the fish are in a tank or a pond, they will be bound by the geometry making up the tank or the pond. To make the creatures collide with the world, we simply need to set the bCollideWorld property by adding the lone of code below. 7. Save the file to preserve your work. So, how do you declare a function? Just as class or variable declarations use the class or var keywords to inform the compiler of a declaration, a function declaration uses the function keyword. If the function is to output some data, the type of data the function returns follows the function keyword. After that comes the name of the function followed by a set of parentheses containing any parameters, or inputs, the function may have. If no data needs to be taken in by the function, the parentheses can be empty. The last part of a function declaration is a set of curly braces containing the code that is executed when the function is called. A simple example of a function declaration is provided below. You can see the function keyword begins the declaration and is followed by the Int term stating that this function will return a value in the form of an integer. The name of this function is Clamp and it takes in three integer values: Value, Min, and Max. Finally, the code that is to be executed when the function is called can be found within the curly braces. As you may be able to tell, this code clamps the value of the first input to the range determined by the second and third inputs and returns the resulting clamped value. In this tutorial, we are going to create a function to perform these actions called SetRandDest(). Finally, place the cursor after the opening curly brace, press the Enter key and then the Tab key to indent the code within the function. Now we will use the Rand() function which all classes have access to. This will return a random integer value from 0 to one less than the value passed to the function. This means if we type Rand(5), we should get a get a value from 0 to 4. This will work very well for our purposes as we can use the Length property of a dynamic array to get the number of elements contained in the MyNodes array and then use that value with the Rand() function to get a random index into the array. 5. Now that we have a node selected, we need to calculate the direction the creature must travel in order to reach that node. To calculate the direction from one location to another, you simply need to subtract the first location from the second. In this case, that means subtracting the creature’s current Location from the Location of the node we selected as the destination. This will create a Vector variable named MoveDirection which we can use to hold the direction from the creature to the node. 7. Since we are going to be causing the creature to move in a new direction, it makes sense that we should also rotate the creature to face the direction it is going to be traveling. We can do this by setting the DesiredRotation property of the creature. Once set, the physics engine will smoothly rotate the creature towards the new rotation according to the rate of rotation specified by the RotationRate property. The only part of this we need to worry about at this point is setting the DesiredRotation property. 8. Now we need to set the Velocity variable of the creature to tell it to move. This variable is a Vector whose length determines its actual speed. Since we want to be able to control the speed using our own Speed variable, we needed the vector determining the direction of travel to have a length of 1. This way, we can multiply it by the Speed variable and assign the result to the Velocity variable to cause the creature to move toward the node with the speed specified in the Speed variable. You should have noticed that we used a function called Normal() in the code above. This function takes in a vector and outputs the unit vector, or vector with a length of 1 unit, in the same direction. This is important as we only want the MoveDirection variable to hold the directional information and not any magnitude information. 9. Save the file to preserve your progress. We now have a completed SetRandDest() function that can be called at any time to select a new destination at random and set the creature moving toward that destination. Just as Classes and Variables have a set of keywords used in their declarations to tell the compiler how they should be handled, functions have specifiers of their own. Unless otherwise specified in the descriptions below, these specifiers precede the function keyword in the function declaration. This specifier is used to create a function which can be called from any other class without the need for an object reference variable of the class containing the function, similar to a global function. Because there is no guarantee of there being an instance of the class containing the function, calls to non-static function cannot be made from within a static function and they cannot contain variables from the class containing the function. These functions can be overridden in subclasses. This specifier declares a function as being defined in native code (C++), but allows it to be called from within UnrealScript. Since this book deals with UnrealScript, there will be no reason to use this keyword, but you will see it often when perusing the scripts. This specifier disables the ability of a function to be overridden in a child class. Declaring a function as Final comes with a slight performance increase, but should only be used if you are positive you will never need to override the function. This specifier should be placed immediately before the function keyword in the function declaration. See 6.6 Function Overriding for more information on overriding functions. This specifier causes the function to disallow being called recursively, meaning that a call to the function cannot be done from within the same function. This specifier prevents the C++ declaration for a native function from being created. This specifier declares this function as being able to be called during the game directly from the console by typing its name and any parameters it accepts. Exec functions can only be used within certain classes. This specifier indicates that the function may run in the background while the game progresses. A latent function can only be called from within state code, which will be discussed in detail in Chapter 11: States. This specifier is only valid when used with native functions. This specifier determines that the function can be used with the Foreach command to cycle through a list of actors. This specifier means that this function may be executed client-side, but only when the actor owning the function is a simulated proxy or automous proxy. The specifier causes the function to be sent to the server to be executed. The specifier causes the function to be sent to the client to be executed. Using the Client specifier implies that the function is Simulated as well. This specifier deals with replication across a network and is used in conjunction with the Server or Client specifiers. A Reliable function is guaranteed to be replicated in order with respect to other replicated items within the actor. This specifier deals with replication across a network and is used in conjunction with the Server or Client specifiers. An Unreliable function is not guaranteed to be replicated in order with respect to other replicated items within the Actor and has the possibility of not being replicated at all if bandwidth over the network is not sufficient. This specifier causes the function to only be accessible from within the class in which it was declared. Subclasses will technically contain this function, but will have no way of directly using it. It is, however, possible it could be called indirectly if the subclass calls the parent class’s version of some non-private function which in turn calls the private function. A private function cannot be called through the use of an object reference variable from another class. This specifier causes the function to only be accessible from within the class in which it was declared or a subclass thereof. Subclasses will contain a protected function and can call it directly, but it cannot be called through the use of an object reference variable from another class. This specifier is used in place of the function keyword when declaring a function to create a function in UnrealScript that can also be called from native code As it pertains to native code, it is beyond the scope of this book, but you will encounter it quite often when viewing Unreal’s scripts. This specifier is used only with native functions and causes the function to be defined as const in the automatically generated C++ header. This specifier follows the parameter list in the function declaration. It has been mentioned several times that functions can output a value. This is called the return value because the value in question is returned to the location from which the function was originally called. How does the function know what value to return, though? The Return keyword informs the function that it should stop executing and anything following the keyword should be returned. This can take the form of a simple value, a variable, or an expression. When the value is in the form of a variable, the current value of that variable will be returned. In the case of an expression, the result after evaluating the expression is the value that will be returned. Note: The Return keyword can be used by itself to stop execution of a function which does not return a value. This can be useful if there is some specific situation where you do not want the function to execute. Using an extremely simple example, we can take a look at just how this works. The following function does nothing more than return a value of 1. This function could then be used to set the value of an Int variable like so. What the variables you are seeing in this line of code represent are not really important. What is important is that you see that a function call is essentially being used like a variable in this line of code. If we break it down into parts it will be more evident what is occurring. Now we are simply referring to the bUsesAbritration variable belonging to an OnlineGameSettings object which is much easier to conceptualize. You might be wondering why not just refer directly to an OnlineGameSettings variable in the first place and avoid the function call. The reason is that providing a variable or allowing direct access to certain variables is not always a good idea as improperly modifying them can have severe adverse effects. Functions are created to return references to these objects in order to keep everything running smoothly. 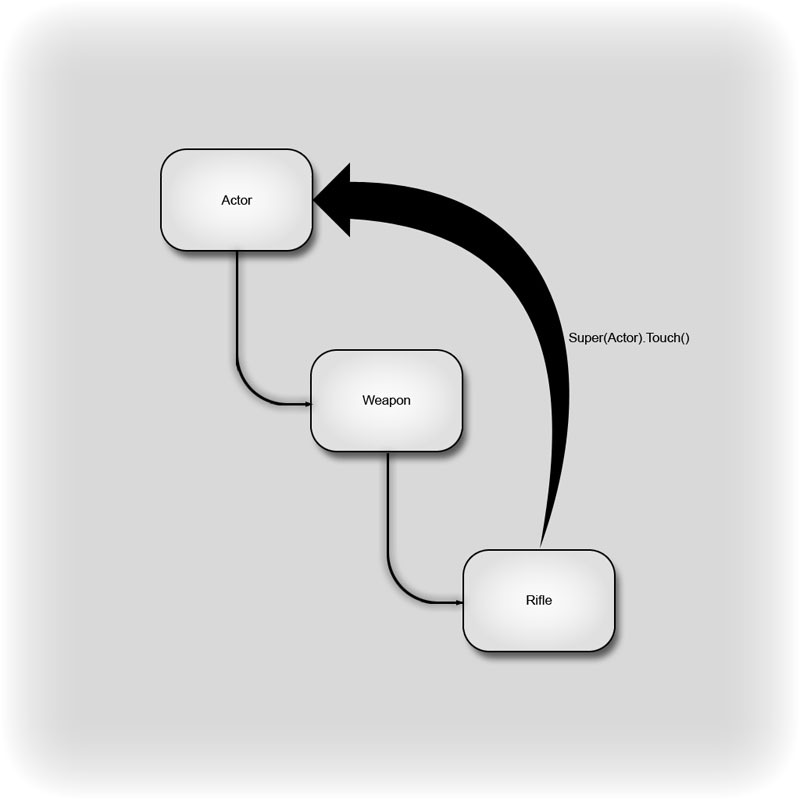 Functions have the ability to be passed values, or have information sent to them, when they are called. These values can be of any type and can then be used within the function. Often, the values passed to a function will be in the form of variables. Unless specified otherwise, when a variable is passed to a function as a parameter, a copy of the variable is created and any modifications made to the variable within the function will only affect the copy. In order to see how passing parameters to functions works, we can look at an example. The following function would be used to clamp one value between two other values. 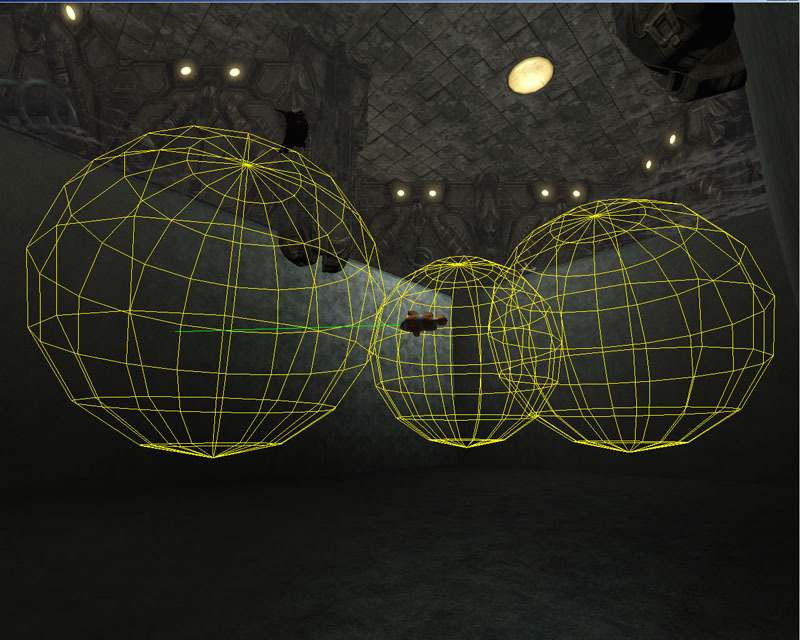 A similar function already exists in Unreal, but this will help demonstrate parameters. Say we wanted to clamp the Health of an actor between the values of 0 and 100. The above function could be used in the following manner. This command would execute the Clamp function which would return the clamped value and then assign it to the Health variable. The assigning of the value was necessary because the function is only working with a copy of the Health variable and not directly modifying it. As you will see in the next section, it is possible to force a function to directly manipulate a variable passed in as a parameter. The function parameter specifiers are a special set of variable specifiers that are only relevant to function parameters. When a parameter is declared using the Out specifier, the variable passed to the function will be directly modified by the function instead of creating a copy to work with. This essentially allows a function to return more than one value. To show the difference when using the Out specifier, let’s use the previous example of the Clamp() function only this time the Out speciifer will be used and the function will not return a value. Again, we want to clamp the Health of an actor between the values of 0 and 100. The above function could be used in the following manner. Unlike the previous example, all that must be done is call the function with the appropriate parameters. 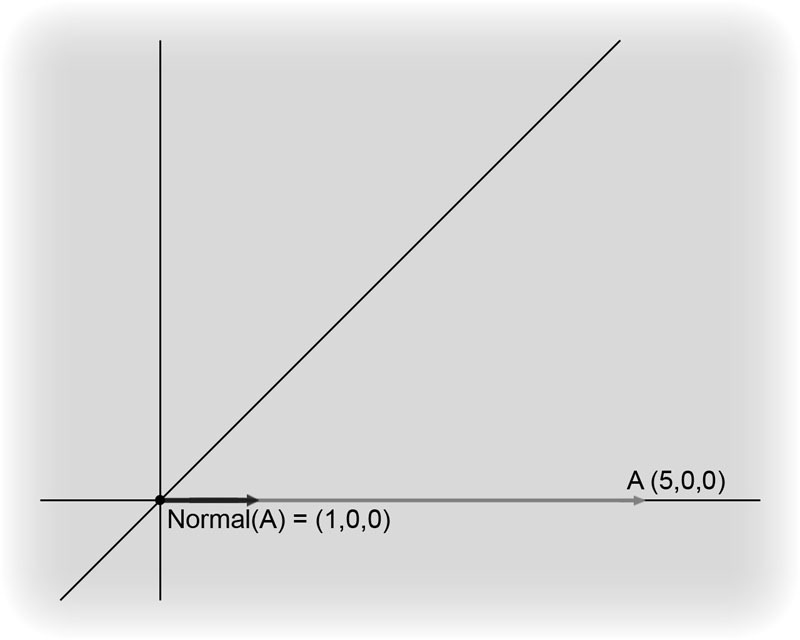 The function takes care of assigning the correct value to the Health variable so no return value is necessary. When a parameter is declared using the Optional specifier, the function can be called without passing a value for that parameter. Optional parameters can have default values set that will be used if no value is passed to the function. If no default value is specified and no value is passed to the function, a value of zero (0, 0.0, False, “”, None, etc. depending on the parameter’s type) is used. Defining a default value for an optional parameter is done in the following manner. This declaration defines the value of Min to be 0 and Max to be 1 unless values are passed to the function for these parameters when it is called. Using the same situation as before, we could clamp the Health of the player between 0 and 100 by calling the function with the following parameters. Notice that the second parameter was omitted as its default value is the same as the value we want to use. We had to pass the value of 100 for the third parameter as its default is 1 which is not what we want. When omitting an optional parameter that is not the final parameter, a space must still be left for that parameter so that the function knows which parameter the next value passed in is for. If the optional parameter is the last parameter, no space need be left and it can be omitted altogether. When a parameter is declared using the Coerce specifier, the value passed to the function for that parameter will be forcibly converted to the parameter’s type regardless of whether UnrealScript would normally perform the conversion. This is most often used with String parameters with the most commonly used example of the Coerce specifier being the `log() function. Using the Coerce specifier allows any type of data to be passed in as the Msg parameter and forces it to be converted to a string. This is very useful when debugging a script. You may have an object reference variable that should be holding a specific object. In order to determine if this is the case, passing that variable to the `log() function will output the string representation, or name in this case, of the object to the log file. In this tutorial, we are going to take the functionality which calculates the MoveDirection, sets the DesiredRotation, and sets the Velocity out of the SetRandDest() function and place it in a separate function. By separating this functionality out, we add the ability to not only pick destinations at random, but we will also be able to set specific destination if necessary. This makes the class much more flexible, which will come in useful in subsequent chapters. As you can see, the SetDest() function takes in an AmbientCreatureNode. This will allow a node to be selected at random or a specific node to be selected and then passed to this function. 3. First, we will move the necessary local variable declarations from the SetRandDest() function to the SetDest() function. Out of the three declarations, the only one we are concerned with is the MoveDirection declaration. Select the line of code in the SetRandDest() function shown below and cut it by pressing Ctrl+X. Figure 6.7 – The destination is now within a radius of the node. 11. Save the file to preserve your progress. You now know how to create functions within a class to make that class useful. And, you know that by extending a class, the functions contained within that class are passed on to the subclass. What if you would like the subclass’s version of the function to have some added functionality or even do something completely different? UnrealScript provides the ability for subclasses to override the parent’s version of a function. This means the subclass can have a function by the same name with the same parameters and return value that performs a different action than that of the parent class. This feature is extremely powerful in that it allows you to take advantage of the benefits of inheritance while still allowing the flexibility to differentiate the subclass from the parent when needed. In addition, it is also very easy to implement. All that need be done is copy the parent’s version of the function into the subclass and make any desired changes to the code contained within the function. This tells the compiler that this new version of the function should be used in place of the parent’s version. 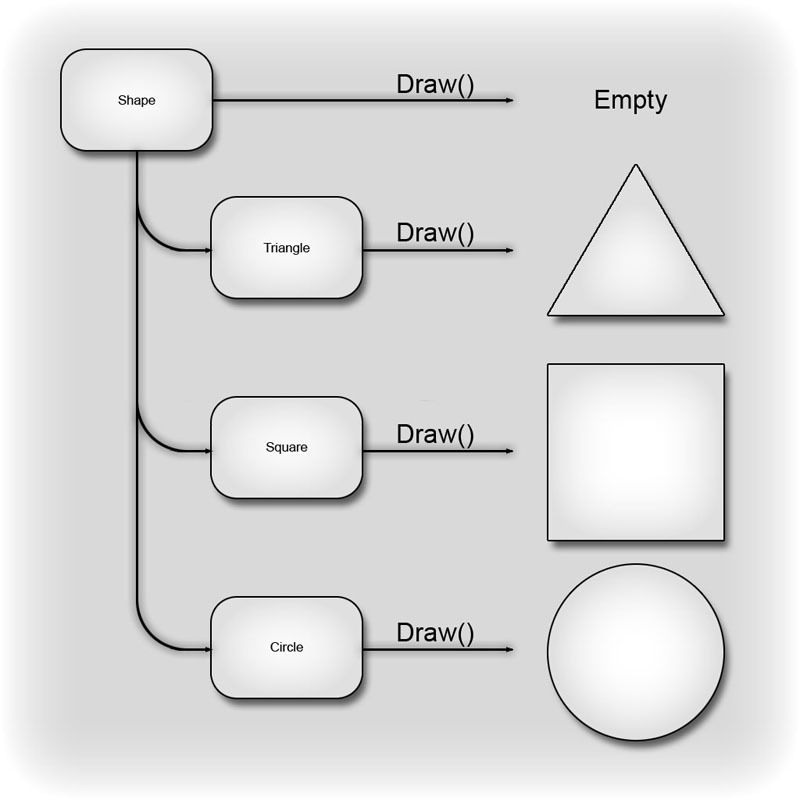 Figure 6.8 – Each child class’ Draw() function performs a different action than the parent’s function. Let’s take a look at a very simple example common in Unreal Tournament 3 of overriding a function in a subclass. The Touch() function should work well for this example. This function is defined in the Actor class, but provides no functionality. It is essentially a blank function waiting to be overridden with some sort of behavior. By extending from the Actor class and overriding the Touch() function, we will take advantage of all the functionality that exists within the Actor class while extending that functionality to perform some action, such as outputting the names of any actors that touch this actor to the Log file. The efficiency of inheritance and overriding functions should be immediately apparent from this example. It was only necessary to write a few lines of code in order to create a completely new and fully functional class. The Actor class is over 3000 lines long, but this class gets all that functionality and more from just a few lines of code. By overriding functions in subclasses, the actions performed by inherited functions can be altered. What happens if you want to retain the functionality of the parent’s function while still taking advantage of the ability to override a function to gain new functionality? You may deduce that you could simply include the code from the parent’s version of the function in the subclass’s version of the function, but it certainly wouldn’t be the most efficient solution. UnrealScript uses the Super keyword to allow a subclass to call the parent’s version of a function. In this manner, the subclass can add functionality while keeping all the functionality of each class above it in the hierarchy. The syntax for using the Super keyword to call the Touch() function of a parent class is as follows. Figure 6.9 – The Rifle class calls the Weapon class’ Touch() function. In addition, a class name can be specified with the Super keyword to allow a subclass to call a function from a specific class above it in the hierarchy. Say there are three classes, Actor, Weapon, and Rifle, which form a hierarchy where Weapon extends from Actor and Rifle extends from Weapon. Each of the subclasses, Weapon and Rifle, could override the Touch() function from their respective parent class. If the Rifle class wanted to call the Actor class’s version of the Touch() function, it could do so in the following manner. This would skip the Weapon class’s version of the function even though it is the parent of Rifle and go to the Actor Class’s version of the Touch() function. Figure 6.10 – The Rifle class calls the Actor class’ Touch() function. Note: The parameters were left out of the above function calls for simplicity. Up to this point, we have added functions to the base creature class to select a random destination and cause the creature to move toward that destination. You may have noticed we have not implemented a method of setting this all into motion yet. We need a way to call the SetRandDest() function when the level begins so the creature will make use of the functionality we have added. This is precisely what we will be doing in this tutorial. At the same time, we will implement the functionality for setting a random size for each individual creature as well as some variance in the Speed and RotationRate. 2. We are going to make use of the PostBeginPlay() function which is called by the engine on each Actor after the level begins. Overriding this function will provide an ideal place to set the size, speed, and rotation rates for the creatures as well as initiating the creature’s movement. Although the placement of the functions within the class is not important, we are going to place the PostBeginPlay() function just after the class variable declarations. This will make the functions within the class flow in the order of execution. Between the declarations of the class variables and the SetRandDest() function, create some space and add the declaration for the PostBeginPlay() function as shown below. 3. The first thing we want to do when overriding this function is make sure that the parent version gets executed by calling it using the Super keyword. This will ensure that any general setup actions get performed in addition to the functionality we are going to be adding. Between the curly braces, call the parent veriosn of the PostBeginPlay() function by adding the line below. You’ll notice we were able to do this all in one line of code. This is because the RandRange() function returns a Float value while the SetDrawScale() function takes in a Float value as a parameter. So we can use the call to one as the parameter of the other and everything works out perfectly with no need for any extraneous local variables. Figure 6.11 – The size of each creature is chosen at random from a range of sizes. 5. We want to give the Speed and RotationRate properties some variation from one creature to the next. These two properties correlate to each other, though. This means that creatures with higher speeds need higher rotation rates as well. We are going to handle this by using the same randRange() function used in the previous step, but this time we will store the value in a local variable so we can multiply both the Speed and RotationRate variables by the same random value. 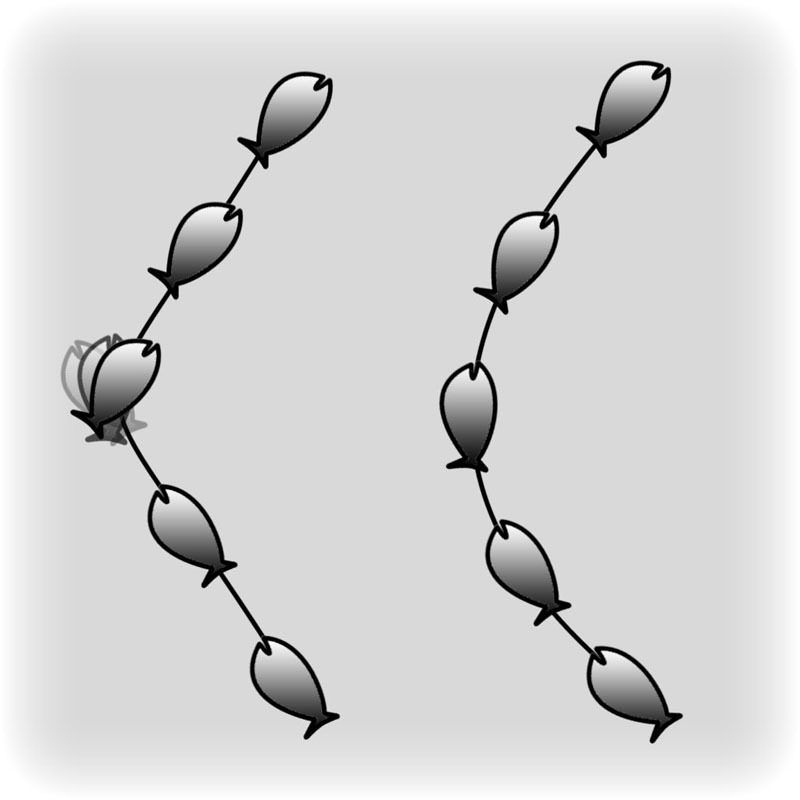 Figure 6.12 – The creature on the left has a low Speed and RotationRate, while that on the right has a high Speed and RotationRate. 7. All that is left at this point is to call the SetRandDest() function to start the creature moving. Add the line of code shown below to the end of the PostBeginPlay() function. 8. Save the file to preserve your progress. 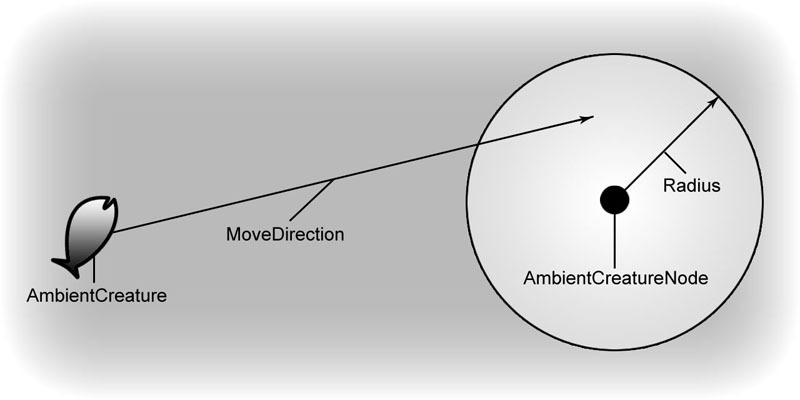 With the current setup, the creature begins moving toward the destination node while it is rotating to face the destination. This will result in very unrealistic behavior from a visual standpoint. To correct this, we are going to cause the velocity of the creature to always be in the direction the creature is facing. This way the creature’s path of motion when turning to face the next destination will be a curve. 3. As with the PostBeginPlay() function, we want to make sure the parent version of this function gets executed so we will put in a function call using the Super keyword by adding the code below between the curly braces. Notice that we pass the Delta parameter on to the parent function here. 4. Now, we are going to select the code which sets the Velocity in the SetDest() function and cut it from that location. Find the line of code shown below and select it. Then, press Ctrl+X to cut the line of code. 5. On the next line of the Tick() function, press Ctrl+V to paste this line of code. Figure 6.13 – The creature now follows a trajectory when turning instead of turning in place. 7. Save the file to preserve your progress. A Timer() function exists in each Actor that allows the Actor to have special functionality that can be performed after a specified amount of time has elapsed. This can either be a one-time event, or it can occur repeatedly each time the specified amount of time has elapsed. A good example of some action that would be a good case for the use of the Timer function would be the re-spawning of a pickup. Once the item has been obtained by a player, the pickup class would start a timer that would re-spawn the item after a certain amount of time, making the item available once again to the players in the game. 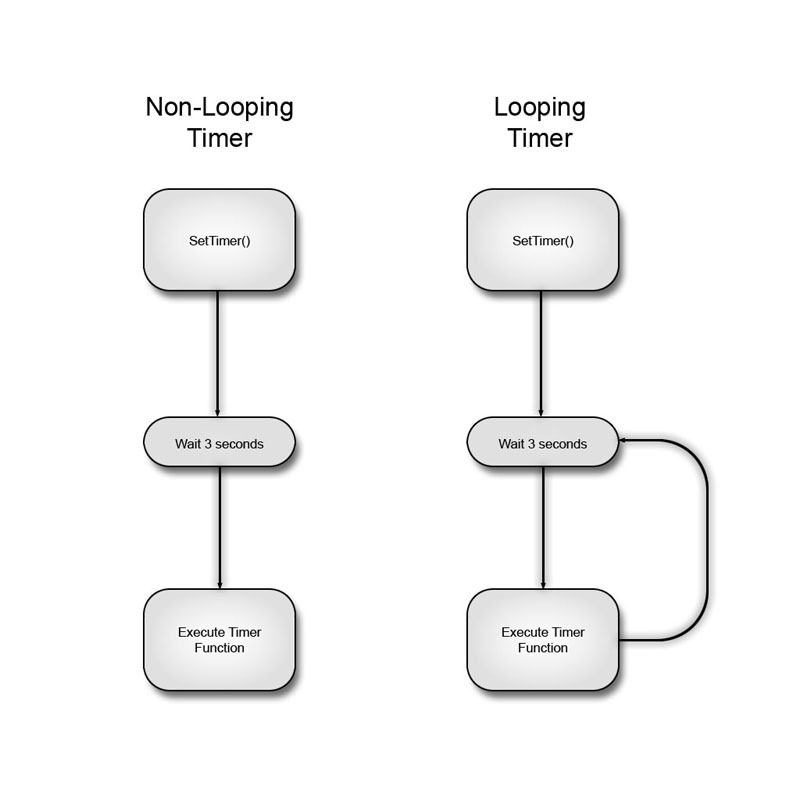 Figure 6.14 – On the left is a non-looping timer and one the right is a looping timer. In order to start a timer function, another function must be used. The SetTimer() function is built-in to the Actor class and is used to set up the parameters of a timer function and start the timer. The SetTimer() function has several parameters which we will take a quick look at now. This parameter specifies the amount of time to wait before performing the actions within the timer function. This parameter is used to determine whether the timer will only fire once after the specified time or will continue to fire each time the specified interval elapses. This parameter is optional. If omitted when the SetTimer() function is called, the actions within the timer function will only be performed a single time. This parameter allows the name of a function to use as the timer function. This is where the ability to use multiple timers comes from. This parameter has a default value of Timer and is optional which means that if omitted when the SetTimer() function is called, the built-in Timer() function will be used. This parameter makes it possible to add timer functionality to non-Actor derived classes. If an Object is specified here, then the function specified by the inTimerFunc parameter is called on that Object instead of the Actor that is calling the SetTimer() function as would normally be the case. Also, the function specified by the inTimerFunc parameter must be contained within the class of the Object specified here and not within the Actor calling the SetTimer() function. The ClearTimer() function can be used to stop a timer from executing. This is mainly useful when a timer function has previously been set to continually fire and is no longer needed. In such a case, calling the ClearTimer() function will cause the timer function to no longer fire. This function has two parameters. Note: Calling the SetTimer() function with a value of 0.0 for the inRate parameter is identical to calling the ClearTimer() function. This parameter is used to specify the name of the timer function that should be cleared. This parameter is optional and has a default value of Timer, meaning that if omitted when calling ClearTimer(), the built-in Timer() function will be cleared. If an Object is specified, this parameter will cause the timer to be cleared for the specified Object instead of the Actor calling the ClearTimer() function. This function will return a Boolean value stating whether a specific timer is currently running. This parameter is used to specify the name of the timer function whose status should be returned. This parameter is optional and has a default value of Timer, meaning that if omitted when calling IsTimerActive(), the status of the built-in Timer() function will be returned. If an Object is specified, this parameter will cause status of the timer to be returned for the specified Object instead of the Actor calling the IsTimerActive() function. This function will return a float value specifying the amount of time the timer has been running since it was started with the SetTimer() function or since it last fired assuming it is a looping timer. This parameter is used to specify the name of the timer function whose running time should be returned. This parameter is optional and has a default value of Timer, meaning that if omitted when calling GetTimerCount(), the built-in Timer() function will have its running time returned. If an Object is specified, this parameter will cause the running time of the timer to be returned for the specified Object instead of the Actor calling the GetTimerCount() function. This function will return a float value specifying the duration of the timer as specified by the inRate parameter of the SetTimer() function. This parameter is used to specify the name of the timer function whose duration should be returned. This parameter is optional and has a default value of Timer, meaning that if omitted when calling GetTimerRate(), the built-in Timer() function will have its duration returned. If an Object is specified, this parameter will cause the duration of the timer to be returned for the specified Object instead of the Actor calling the GetTimerRate() function. As the creature class is set up currently, the creature will select a destination and move toward it, but it will simply continue moving in that direction forever or until it collides with something. We need a way to cause the creature to continue to select new destinations. In this tutorial, we will make use of timers for this purpose. 2. Each time the SetDest() function is called in the SetRandDest() function, we want to start a timer that will cause the SetRandDest() function to execute again after a certain amount of time. The amount of time will be a random value between the MinTravelTime and the MaxTravelTime, but will also be limited to no more than the amount of time it would take to reach the destination given the creature’s speed. The first part we are going to focus on is the amount of time it would take the creature to reach the destination. In order to calculate this value, we need to know the distance to the destination. Then we will divide the distance by the Speed which will result in the value we are looking for. We need a local variable to store this value in, though. After the DestNode variable declaration in the SetRandDest() function, add the declaration for the MoveInterval variable as shown below. After the call to the SetDest() function, add the line of code shown below to set the MoveInterval variable. 4. With the amount of time to the destination calculated, we will now move on to setting the timer. Setting a timer on its own is fairly simple in most cases. You would call the SetTimer() function with a duration, whether to repeat the timer, and the name of the timer function. Because we want a random value for the duration and we also want to limit it to the amount of time to the destination, our call to SetTimer() will be slightly more complex. We are going to end up with a function call within a function call within a function call. For this reason, we will break it down into smaller parts to make it clear what is going on. You’ll see that we have set this timer to execute the SetRandDest() function, but we have not set it to loop, however; since we are setting the timer from the function the timer is calling, we have in essence set up a loop. The benefit of this method is that we will get a new duration for the timer each time through. This completes the AmbientCreature class. 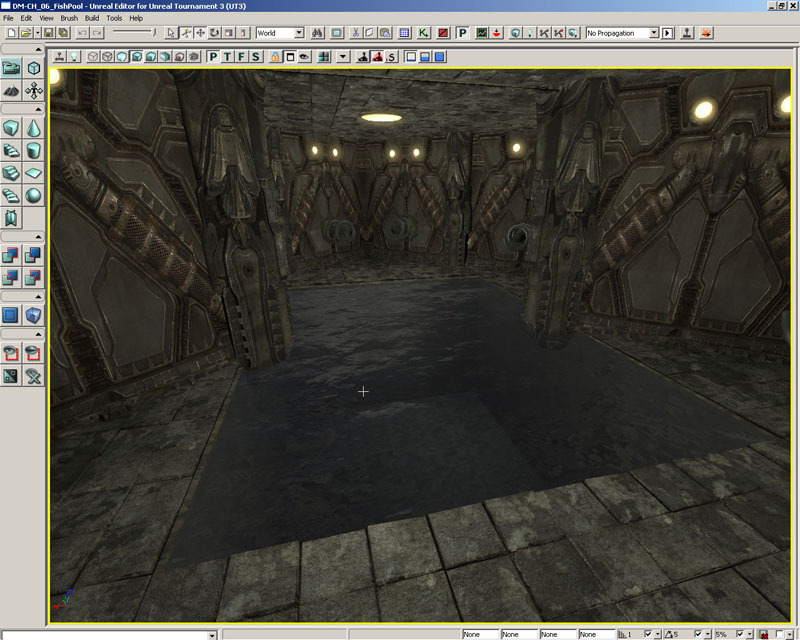 Over the next few tutorials, we will be extending this class to create fish which can be placed in a map. We are now going to create a class which builds on the general functionality from the AmbientCreature class. This class will contain all of the code specific to making fish creatures. We will add some unique behavior, specifically a randomized burst in speed, and assign a mesh for display purposes as well as setting default values for the MinTravelTime, MaxTraveltime, Speed, MinSize, MaxSize, and RotationRate properties. 1. Open ConTEXT if it is not already open and create a new file from the File menu or the toolbar. Then, choose the UnrealScript highlighter. 2. On the first line of the script, we need to declare the new class. This class will be named AmbientCreature_Fish and will extend from the AmbientCreature class. Also, this class will be placeable. Add the line of code shown below to declare the class. 3. This class will be making use of several class variables in order to achieve the burst in speed mentioned previously. The first of these properties will be a Bool variable specifying that a burst has occurred and the fish’s speed needs to begin a falloff back to the original speed. Add the declaration shown below for the bFalloff variable. 4. Since we plan to have bursts in speed, we will need variables to hold the speed of a burst as well as the original speed before the burst. Add the variable declarations shown below. 6. The last variable we will add will represent the chance or percentage that a burst will occur each time a new destination is chosen. Add the final variable declaration shown below to the script. 7. Save the file to the MasteringUnrealScript/Classes directory with the name AmbientCreature_Fish.uc to match the class name. In this tutorial, we will set up the defaultproperties block for the AmbientCreautre_Fish class. 1. Open ConTEXT and the AmbientCreature_Fish.uc file if it is not already open. 2. Leaving some empty space after the variable declarations, add the following lines of code to create the defaultproperties block. 3. We need to set some default values for variables inherited from the base AmbientCreature class now. The first of these properties is the Speed variable. We are going to give this variable a default value of 70 which after the random variation calculated in the PostBeginPlay() function will result in a speed from 35 to 105. Add the code below to the defaultproperties block to set this value. 4. 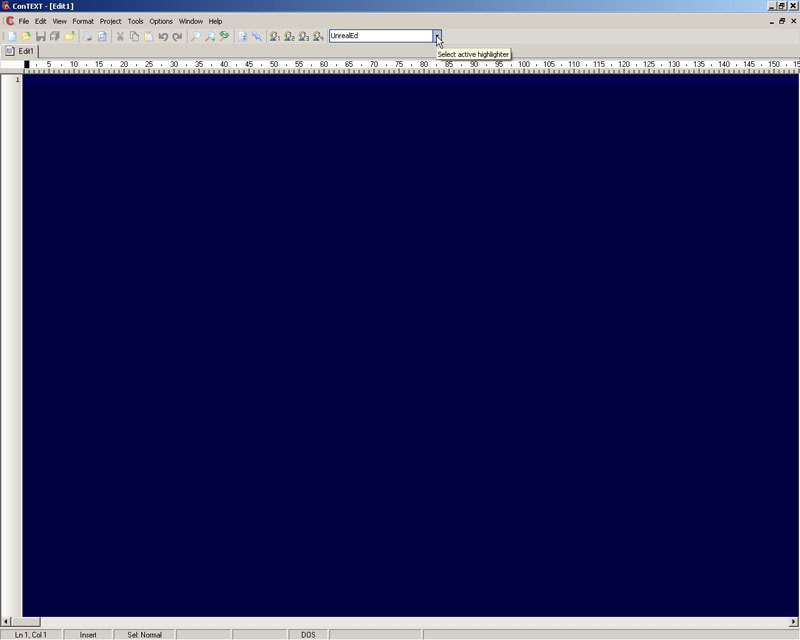 Next, we will set the MinSize and MaxSize values. 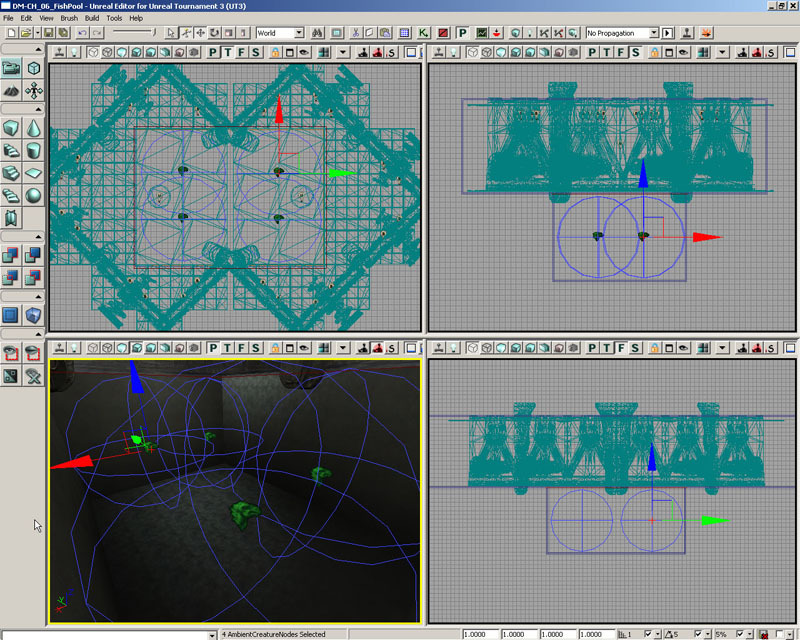 These values will rely on some trial and error based on the size of the mesh used. We have chosen values of 0.0625 and 0.25 in this case. Add the following lines of code to set these values. 5. The last of the inherited variables are the MinTravelTime and MaxTravelTime properties. These values will depend on the type of creature being created. For our purposes, we have chosen values of 0.25 and 4.0 for these values. Set these default values by adding the code below. 8. 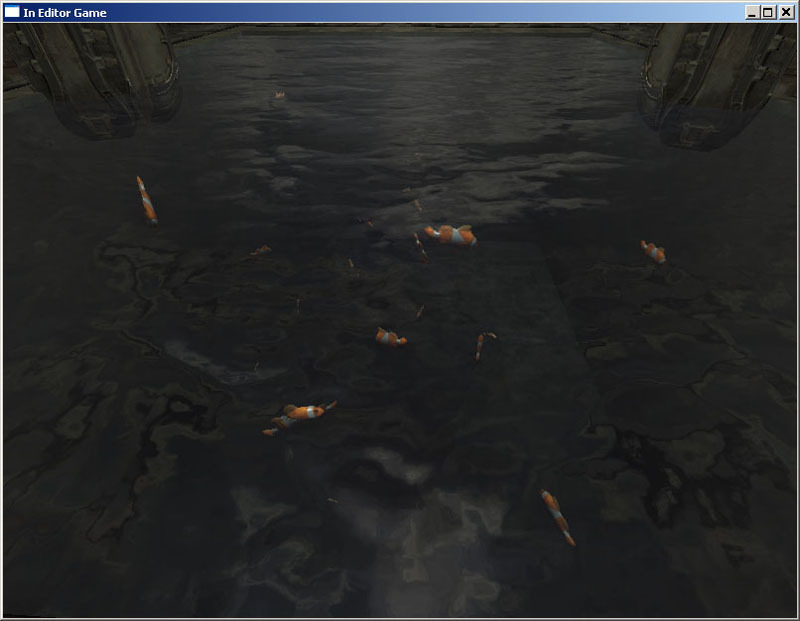 The final default value that must be set is the mesh that will be used for these fish creatures. You may remember we created a StaticMeshComponent sub-object in the defaultproperties of the AmbientCreature class, but we did not tell it what mesh to use. We can access that sub-object to set the mesh that is appropriate for this class. The syntax for this is almost identical to the creation of the sub-object except the Class= section must be left out. Below is the code for setting the mesh of the MyStaticMesh sub-object. add these lines of code to the class. Since we have new variables that need to be set immediately when the level starts, we are going to be overriding the PostBeginPlay() function again. Previously, we called the parent class’s version of the function and then added our own functionality. This case is slightly different in that we want to include the functionality of the parent class, but we need to insert additional code in the middle of the code of the parent class. Essentialy, after the Speed and RotationRate values are set, we want to set the new speed and rotation rate values, but they need to be set before the call to SetRandDest(). The way we will handle this is to copy the entire PostBeginPlay() function from the parent class, add the new functionality, and then call the version of the function next up the chain skipping the parent version. 1. Open ConTEXT as well as the AmbientCreature.uc and AmbientCreature_Fish.uc files if they are not already open. 2. Select the entire PostBeginPlay() function from the AmbientCreature class and press Ctrl+C to copy it. 3. In the AmbientCreature_Fish class, after the variable declarations, paste this function by pressing Ctrl+V. 5. The two new speed properties will follow the same logic as the rotation rate variables. The OrigSpeed variable will be set equal to the Speed variable’s value and the BurstSpeed variable will be set equal to the Speed variable multiplied by 4. Add the lines shown below just after the lines added in the previous step. 6. Remember we mentioned that we need to skip the parent version of the PostBeginPlay() function and call the version in the class that is next up the hierarchy. In order to cause a fish to have a speed burst, we are going to need to set up some condition within the SetRandDest() function that makes use of the BurstPercent variable to determine whether a burst should be performed. Of course, this means we will need to override the SetRandDest() function. In each previous case, we have called the parent class’s version of the function prior to adding new functionality. For this situation, we actually want to add the new functionality and then call the parent version afterward. 1. Open ConTEXT as well as the AmbientCreature.uc and AmbientCreature_Fish.uc files. 2. The first thing we need is to declare the SetRandDest() function in the AmbientCreature_Fish class. An easy way to do this is to select the function in the parent class, copy and paste it into the new class, and then remove the code inside of the function. Perform these steps now so the code below is added just below the PostBeginPlay() function. Perform these actions by adding the lines of code shown below to the If statement. Figure 6.15 – The fish creature will have speed bursts at random intervals. 6. Save the file to preserve your progress. The fish can now have bursts in their velocities, but we need some way of causing this increased speed to smoothly falloff back to the original speed. Since we are already using the Tick() function to set the Velocity and this function is called each frame, this seems to be the most logical location to handle this functionality. 1. 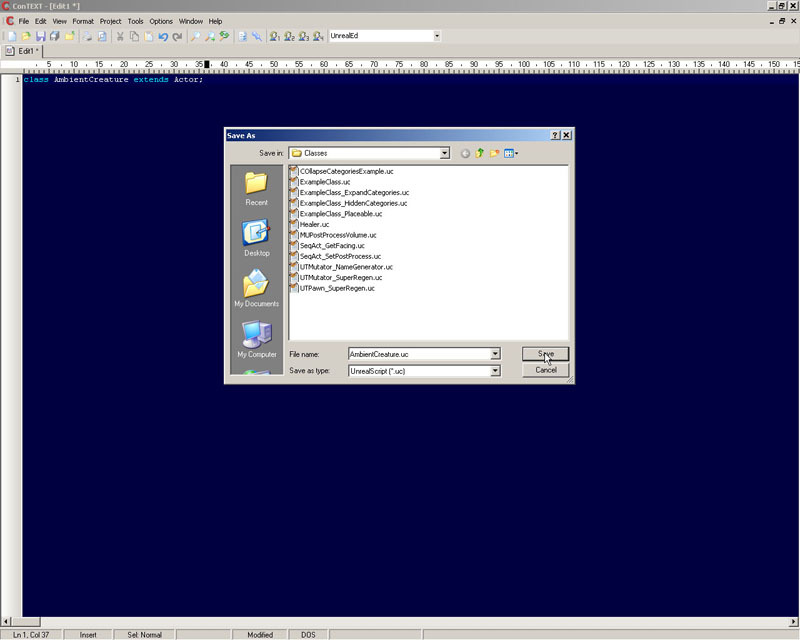 Open ConTEXT and the AmbientCreature_File.uc file if it is not already open. 2. In order to override the Tick() function in the AmbientCreature_Fish class, we need to declare the function in that class as well. Add the code below to declare the Tick() function. 3. In the parent class’s version of the function, you should remember that we have a single line of code which sets the Velocity property’s value based on the value of the Speed variable and the direction the creature is facing. This means that we need to update the value of the Speed variable prior to calling the parent version of the function so we will add the new functionality before the call to Super.Tick(). 4. To cause the value of the Speed variable to smoothly decrease, we are going to subtract some percentage of the BurstSpeed each time the Tick() function is executed. The percentage will be determined by the Delta parameter of the function. This value will be the amount of time that has passed since the last time the function was executed which should be a fairly small number. Inside of the If statement, add the line of code below to cause the Speed variable’s value to decrease each tick. The code below performs these actions. Add it inside of the If statement. Figure 6.16 – The fish now burst and their speed falls off over time. 8. The last item to add to this function is the call to the parent class’s version of the function. Add the code below after the If statements to make this call. 9. Save the file to preserve your work. Compile the scripts and fix any errors that may be present. 10. Open UnrealEd and open the DM-Chapter_06_FishPool map provided with the files for this chapter. Figure 6.17 – The DM-Chapter_06_FishPool map. 11. Place AmbientCreatureNode actors throughout the pool in the center of the map and set the SphereRadius property of the RadiusComponent. Figure 6.18 – The AmbientCreatureNodes are added to the map. 12. Locate and select the AmbientCreature_Fish class in the Actor Browser. 13. Right-click in the viewport and choose Add AmbientCreature_Fish Here to add some AmbientCreature_Fish actors. Figure 6.19 – An AmbientCreature_Fish actor placed in the map. Click the Add Item button of the CreatureNodes array to create slots in the array. Then add the AmbientCreatureNodes to the CreatureNodes array by clicking the Lock To Selected Actor button in the top left of the Properties Window, selecting each AmbientCreatureNode, and pressing the Use CurrentSelection In Browser button of each element in the array. Finally, set any values for the other properties as desired. 14. Test out the map to see your creatures in action. Feel free to go back and make any adjustments or tweaks to the values to make the fish look and behave to your liking. 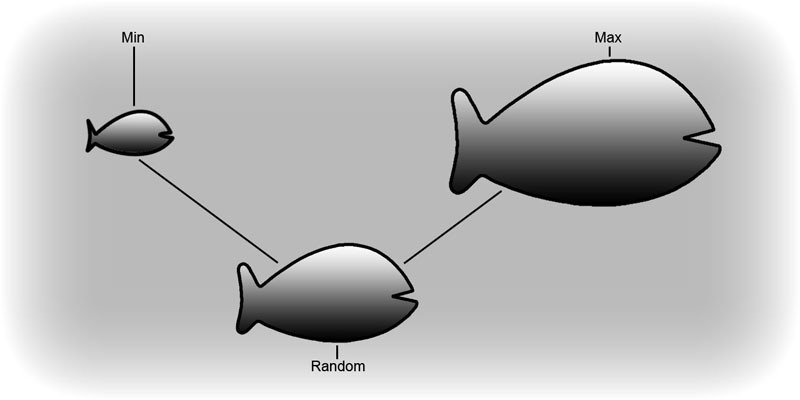 Figure 6.20 – The fish in action. The Object class contains several functions that may be useful in many situations when working in UnrealScript. Because all other classes within Unreal inherit from the Object class at some point, these functions are accessible within any class. Some of the most commonly used of these functions are listed below with descriptions of the functionality they provide. The random number functions can be quite useful when trying to produce some seemingly random variation. The Rand() function will return a random integer value from 0 to one less than the value passed to the function as the Max parameter. The FRand() function will return a random float value from 0.0 to 1.0. The minimum functions will return the smaller of the two values passed in as parameters. The Min() function works with integer values, while the FMin() function works with float values. The maximum functions will return the larger of the two values passed in as parameters. The Max() function works with integer values, while the FMax() function works with float values. The clamp functions will limit the first value passed to the function to the range specified by the next two values passed to the function and return the resulting value. The Clamp() function works with integer values, while the FClamp() function works with float values. The RandRange() function will return a random float value within the interval specified by the two values passed to the function. The VSize() function will return the magnitude, or length, of the vector passed to the function as a float. 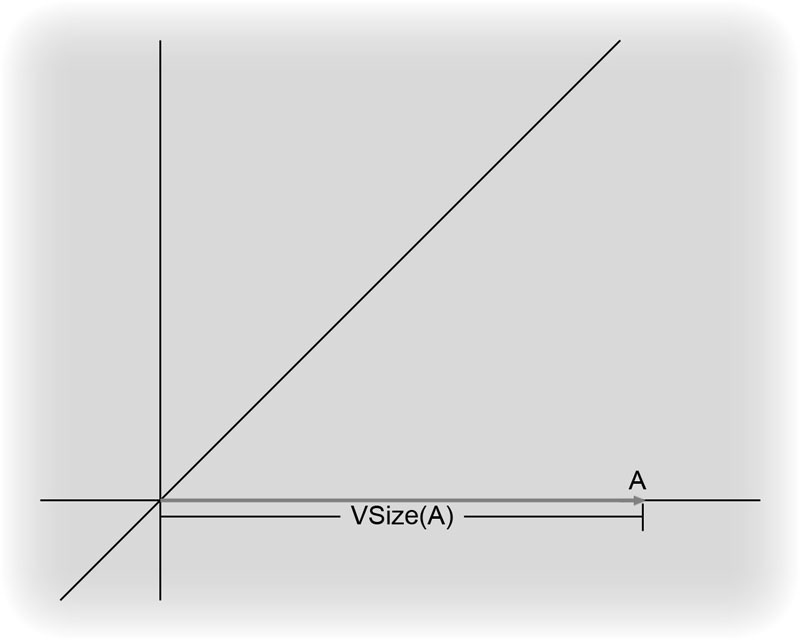 Figure 6.21 – VSize() calculates the length of the vector. The Normal() function will return a unit vector with the same orientation as the vector passed to the function as its parameter. 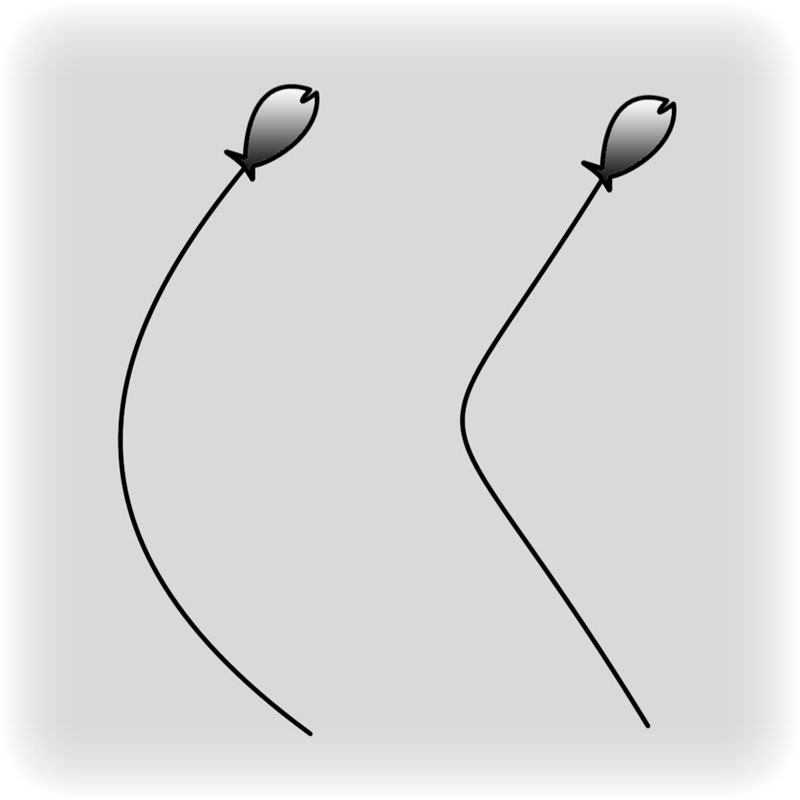 Figure 6.22 – The normal vector has a length of 1 in the same direction as the original vector. 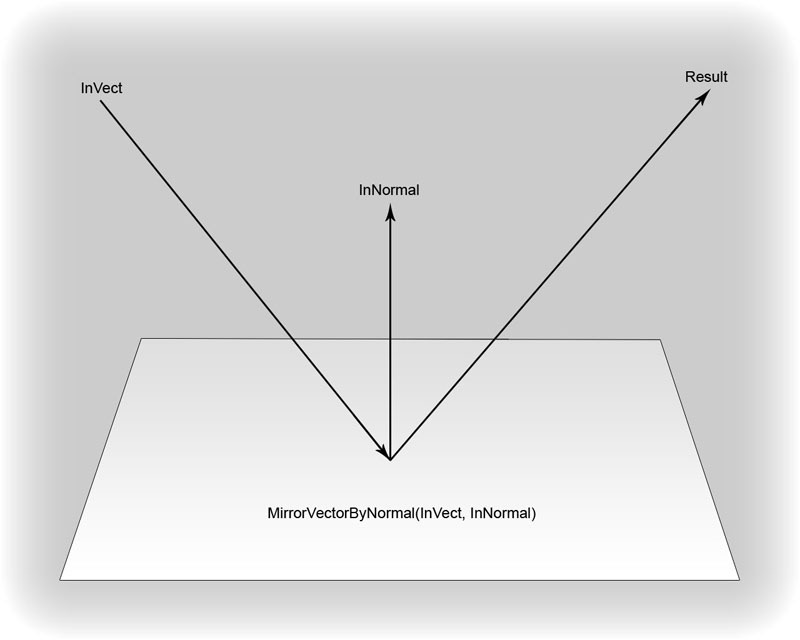 The MirrorVctorByNormal() function calculates the reflection of a vector against a surface with a given normal and returns the reflected vector. 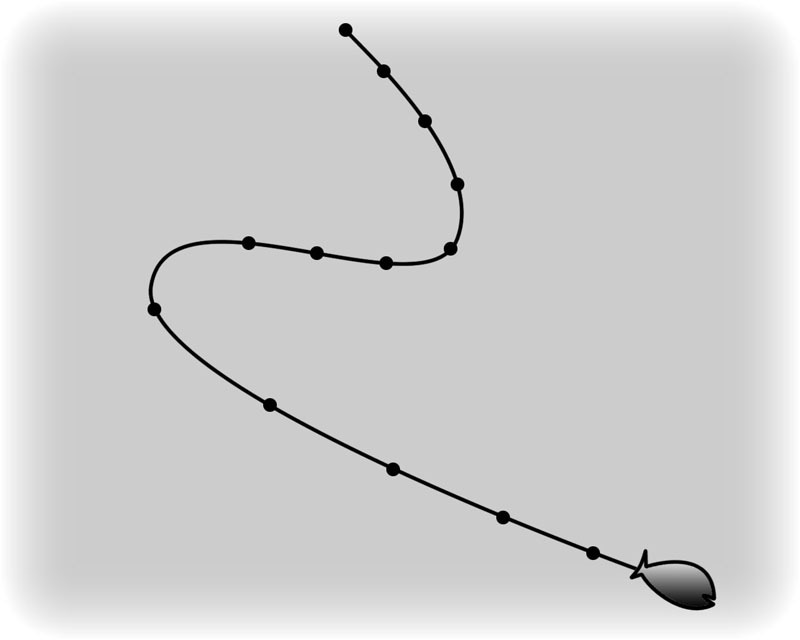 This function is often used with projectiles to determine their trajectory after collisions. Figure 6.23 – The vector reflects off the surface. The FloatToByte() function converts a float value to a byte value and returns the resulting byte value. The valid range for the float value is between 0.0 and 1.0 unless a value of True is passed as the optional bSigned parameter. In that case, the valid range of the float value is -1.0 to 1.0. This value will be converted to a byte value in the range of 0 to 255 with clamping occurring for float values outside the valid range. The ByteToFloat() function converts a byte value from 0 to 255 to a float value in the range of 0.0 to 1.0 and returns the resulting float value. If a value of True is passed as the optional bSigned parameter, the resulting float value will be in the range of -1.0 to 1.0. The Len() function returns the number of characters including spaces contained within a string. The return value is in the form of an Int. The InStr() function searches the first string for the first occurrence of the second string and returns the location of the occurrence if one is found. If no occurrence is found, a value of -1 is returned. The Mid() function returns a substring j characters long beginning at character i of the string passed to the function. If the number of characters to return is not specified, the remaining characters of the string will be returned. The Left() function returns the first i characters of the string passed to the function. The Divide() function will create substrings from the left and right of the first occurrence of a specified string. This function returns true when a division is made or false if the dividing string is not found. The Split() function will split a string at each occurrence of a dividing string and populate an array of strings with the resulting substrings. This function returns the number of substrings created. The Repl() function will search a string for all occurrences of the Match string and replace each occurrence with the With string. This function returns the resulting string after the replacements have occurred. The IsA() function will return true if the object’s class matches ClassName or is a subclass thereof. This function is very handy for determining what type of object is being manipulated without having to perform a typecast and check the result. The MakeColor() function will create a color from the R, G, B, and A values passed to the function and return the resulting color. This function is for creating a byte-based color. The MakeLinearColor() function will create a linear color from the R, G, B, and A values passed to the function and return the resulting linear color. This function is for creating a float-based color. The ColorToLinearColor() function will convert a byte-based color to a float-based linear color and return the resulting linear color. In this chapter, you learned that functions are the elements that make things happen within an object-oriented environment. You have seen how objects can use functions to perform actions on themselves as well as communicate with other objects. By providing the flexibility to take in or put out data and allowing functions to be overridden in subclasses, UnrealScript makes creating classes with the functionality they require much more efficient. Learning how to take full advantage of these features combined with a little imagination can ultimately result in the creation of unique and interesting gameplay.